Today I want to talk about ginger, fresh ginger. 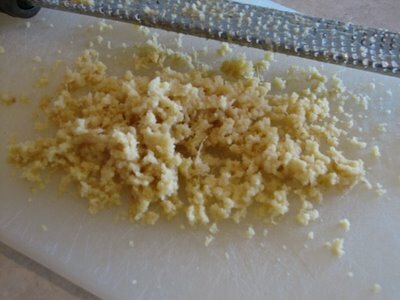 I love using fresh ginger in my cooking. Yes, dried ginger has it’s place in things like molasses cookies and spice cakes, but for some things you just need fresh. For the longest time I did not believe this. I thought dried would be fine in everything. I was so wrong. Fresh ginger makes a big difference in some dishes. It is like the difference between garlic powder and fresh garlic. Garlic powder has it’s place, but sometimes you need the full flavor that regular garlic gives you. Ginger is the same. Fresh ginger works so well in things like stir fry and marinades. I also use it in my egg drop soup. Fresh ginger is really not that expensive, but it doesn’t last that long. I have found a trick for keeping ginger longer. I read this online quite awhile ago. Sorry I can’t remember the source. But here is what I do. Then I grate the ginger. I use a microplane grater, but the small section on regular grater should work fine. 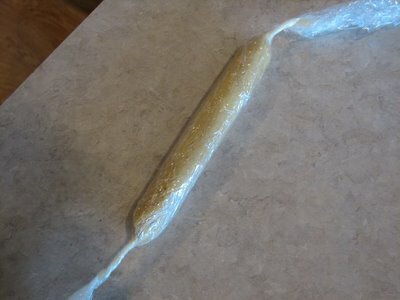 I then make a roll or log shape of it and wrap it in plastic wrap. 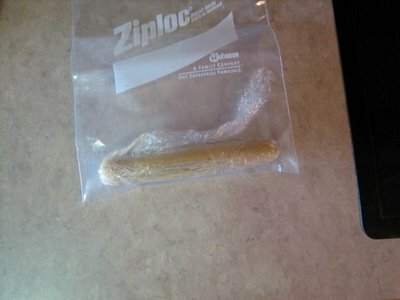 I place it in a ziploc bag and freeze. Then when I need some I can just cut a chunk of it off and use it. I love this tip because I don’t waste money throwing ginger out that has gone bad. It also saves me the time of peeling and grating it every time I need it. And it means I usually have some ginger on hand to use. So my kitchen tip for today is give fresh ginger a try. You will like it. For more kitchen tips see Tammy’s Recipes. This is also posted at Blissfully Domestic. Thanks for the tip. I always end up having my ginger get bad before i get a chance to use it. I love cooking with Ginger it is so fragrant. No i can store it your way and not waste it. Oh WOW thanks so much for this! I haven’t been buying it much because it ruins so easy and where I live it is 4 dollars a pound and can be even higher so I can only buy small amounts at a time and then I still find they ruin. Thanks so much I will be doing this in the future. Ginger is so good for you. I am new to all this whole foods cooking and herbs and well I am loving it..now to find more recipes that call for ginger. Do you just add it here and there to your normal recipes? Thanks so much for sharing! I hate to waste things! Great idea! Can’t wait to do it and have months worth of fresh ginger to use. 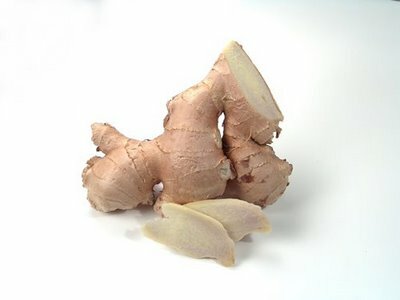 I am loving ginger more and more as time goes by but never seem to use it all before it goes bad. You’ve solved a kitchen dilemma for me! 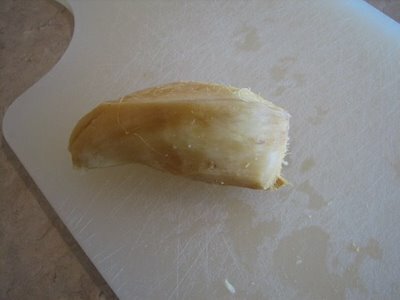 I always peel my ginger with a spoon, that way I don’t cut my fingers off trying to get into the crevices *L* This is a wonderful idea, I’m going to do it next time I buy a piece. What a great tip. I love fresh ginger makes all the difference in the world in a recipe! Thanks for this. Thank you so much for posting this tip. I have been cooking more Chinese foods lately and they all call for fresh ginger. I have been reluctant to buy it because they come in big chunks and I thought I would have to throw half or it out. Now I know what to do with the left-overs.